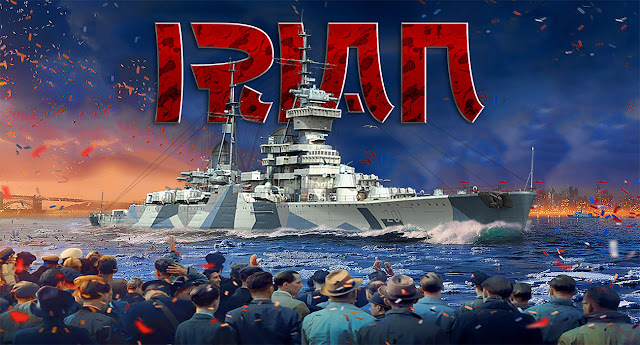 Tier V1II Premium Pan-Asian Cruiser, Irian. This Project 68-bis light cruiser built for the U.S.S.R. Navy had good AA defences and carried twelve 152 mm guns with very long range of fire. In 1963, the ship joined the Indonesian Navy. Firing range – 17.5 km. Reload time - 136 s.
Torpedo detectability - 0.8 km. 6 x 2 100 mm/70 SM-5-1s. Turning Circle Radius: 760 m.
Detectability Firing Main Guns in Smoke: 7.0 km. Slot: Damage Control Party I: 5/90 s.
Slot: Hydroacoustic Search I: 3.5/5.0 km. Slot: Torpedo Reload Booster I: 360 s.